6 months ago, we launched our two regional-focus ETFs, bringing to market 2 world first exposures: an Emerging ASEAN ETF (2810 / 9810) and an Asia Innovative Tech ETF (3181 / 9181). As the 6-month anniversary coincides with the start of the Year of the Pig, we thought it time to do a half-year review and see what happened in underlying markets, discuss the near-term outlook and review the performance of our ETFs. 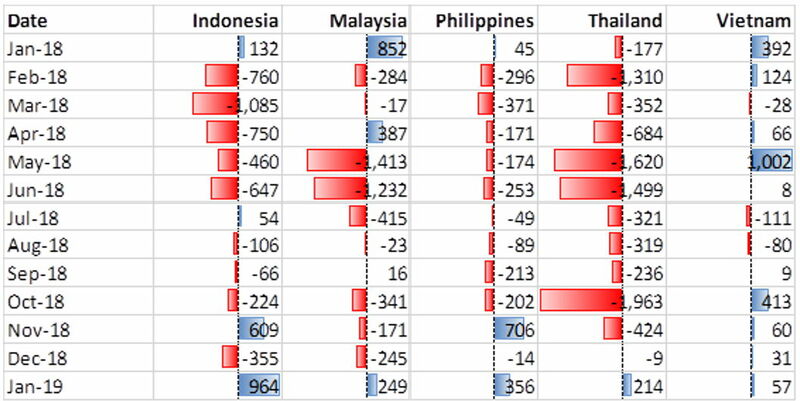 Emerging ASEAN markets fell in line with both developed markets and emerging markets between August to October last year. 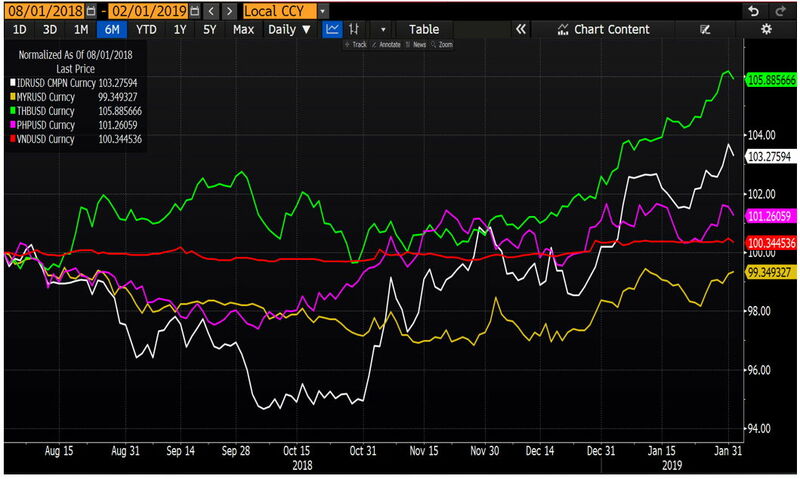 At the peak of pessimism on emerging markets, some critics even bucketed ASEAN countries like Indonesia and the Philippines into the same troubled category as Argentina and Turkey during the sell-off. 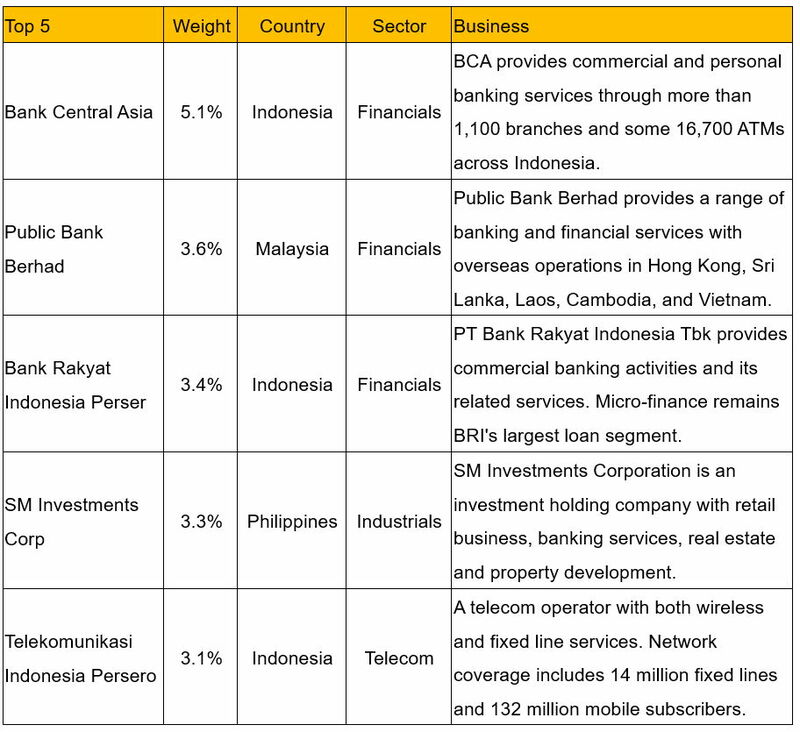 Emerging ASEAN, however, bottomed out quickly and began a good recovery since late October whilst other markets continued their downward spiral. One of the key reasons behind this exceptional move was the change in rate hike expectation in the US. The appearance of some weak macro data and leading indicators in the US led to a louder voice in ending the rate hike, giving strong pressure for the Fed not to tighten the economy excessively. Once investors started believing that the interest rate cycle was approaching the end, the FX market reacted aggressively. Of course, not all emerging market currencies were viewed as equal. Those with better fundamentals such as a stable economic growth and a sound monetary policy like Indonesian Rupiah and Philippine Peso recovered most of their losses and had a strong rally. The escalating trade war, including the dispute over intellectual property and technology transfer between China and the US during November and December, also helped redirect investor interest from the G2 to other markets. Emerging ASEAN, a region which has been growing healthily and steadily, finally gained the market’s attention and managed to attract inflows late last year. All but one country (Thailand) in our EM ASEAN ETF recorded inflows during January, and the group as a whole are in positive flow territory for the last 3 months – a sharp contrast from the net outflows in the first three quarters of 2018. Fundamentally, this region benefits from the ongoing trade argument. A lot of manufacturers are already in the process of shifting their supply chains to low-cost ASEAN countries, including Vietnam, Thailand, Cambodia, and Laos. The trade war accelerates this structural move. The push for greater free trade pacts such as the Comprehensive and Progressive Agreement for Trans-Pacific Partnership (TPP-11) may give some ASEAN countries another advantage to attract Foreign Direct Investment. The TPP-11 is a free trade agreement effective in January 2019 among Australia, Brunei, Canada, Chile, Japan, Malaysia, Mexico, New Zealand, Peru, Singapore, and Vietnam. Other countries, including Thailand, Indonesia, the Philippines, South Korea, and the UK have all indicated interest in joining the pact. Our Premia Dow Jones Emerging ASEAN Titans 100 ETF (2810 HK) was able to record a gain of 4.4% in the past 6 months with a maximum drawdown of 9.6% in mid-October. Indonesia, Philippine and Thai exposures contributed the bulk of the return, as well as of course the positive move of local currencies. We believe Emerging ASEAN will remain resilient on the back of recovering currencies, stable economies, and the strategic shift in global supply chains. The Asia Innovative Technology segment was hit hard by weakening sentiment in the global technology and internet space. China-related stocks suffered the most from a slowing economy, rising geopolitical risks and dubious industry policies. First, ZTE’s punishment for doing business with Iran and North Korea and then the investigation of Huawei by the US dragged down most telecom hardware suppliers and 5G equipment makers. At the same time, smartphone shipments in China were down by a worrisome 15.5% in 2018 due to a lack of new killer apps. Second, China’s gaming industry entered a period of uncertainty as the Central Propaganda Department suddenly halted licensing of new games without giving any hint of future plans. The suspension drove down all gaming-related stocks, including China’s Internet leader, Tencent. Third, the leading medical stocks got de-rated due to higher-than-expected price cuts on compulsory bulk tendering. The new procurement process, initiated by the recently formed State Medical Insurance Administration, was promulgated to keep pharmaceutical prices low as the country begins to cope with its ageing population. 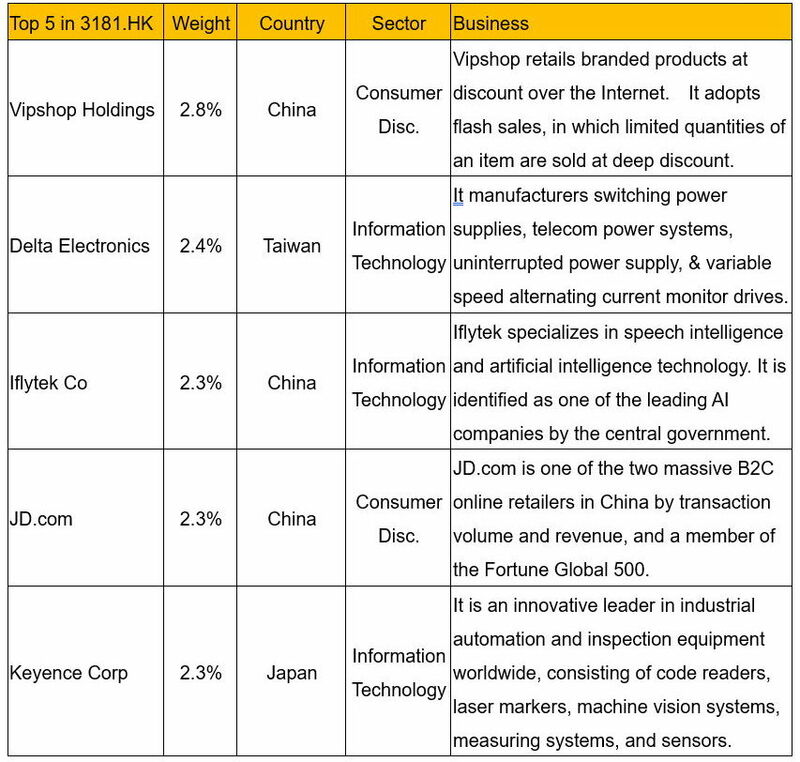 The Premia FactSet Asia Innovation Technology Index was down by -13.2% during the 6-month period between 1 August 2018 and 1 February 2019, compared to CSI All Share Technology Hardware & Equipment Index’s -18.9%, CSI Global China Internet Index’s -18.6%, and MSCI China Healthcare Index’s -23.2%. 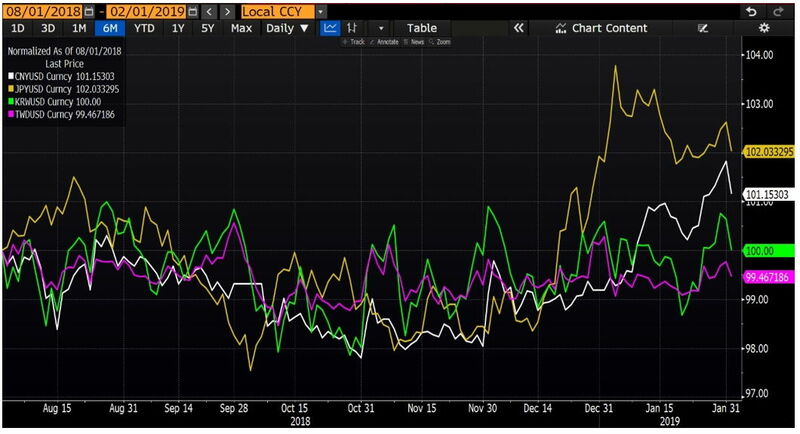 On a positive note, Asian currencies such as the Japanese Yen and Chinese Yuan had a good rally in the past few months, responding to the Fed’s dovish turn. The former was supported by the global risk-off sentiment whilst the latter made a fresh 6-month high amid hopes of US-China trade resolution. 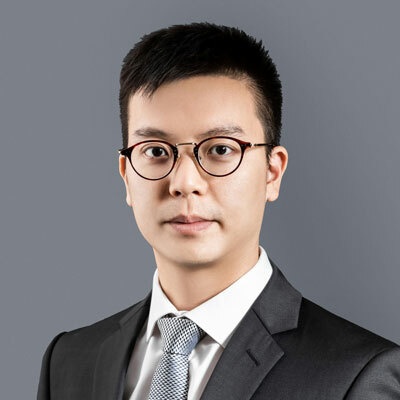 Although the magnitude was milder than emerging ASEAN currencies, the directional change did clear concerns of any further depreciation, which should build a good foundation for Asian equities to perform in the near-term. Fundamentally, the pace of innovation continues to pick up in this part of the world. As an example, Asia has taken the leading place on the Derwent Top 100 Global Innovators list in four of the last five years, confirming its status as a global innovation powerhouse. The study is based on tracking patent activity, analyzing inventions with strong commercialization potential based on originality, market reach, and opportunities for spin-off invention. In 2018, there is a continuing shift of innovation east, with 48 of the Top 100 from Asia compared to 33 from North America and 19 from Europe. Within Asia, Japan is leading with the highest number of companies followed by China, Korea and Taiwan. Fast moving technologies are also at the heart of the list with many of the Top 100 organizations embracing AI and 5G developments to build diversity into their ongoing innovation. In a separate study, Korea retained the global crown in the 2019 Bloomberg Innovation Index, followed closely by Germany, Finland, Switzerland, and Israel. The index analyzes dozens of criteria using seven metrics, including R&D spending, manufacturing capability and concentration of high-tech public companies. 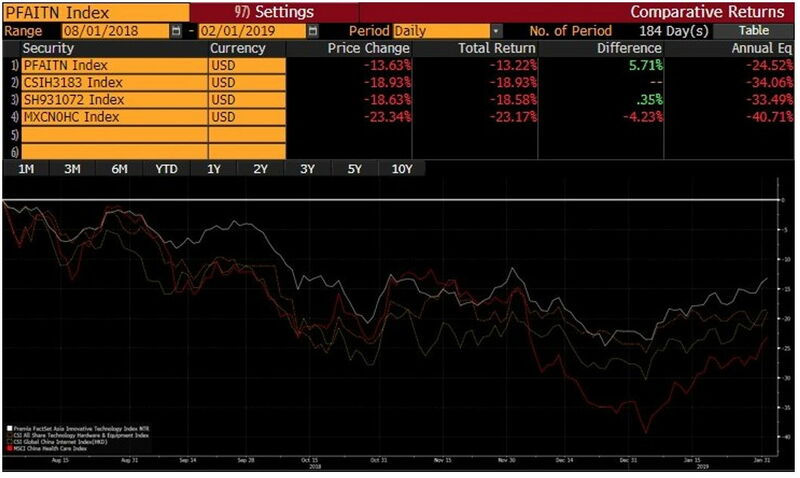 Our Premia Asia Innovative Technology ETF (3181.HK) recorded a loss of 12.5% in the past 6 months and reached a trough of -23.1% in early January. The major negative contribution came from China exposure, with only a few stocks managing a positive return in a down market. We consciously adopted an equal-weighted approach for this ETF, targeting a 2% allocation each for the top 50 stocks in digital transformation, healthcare innovation and robotics and automation. The power of this approach was on full display during its first rebalancing in mid-December. 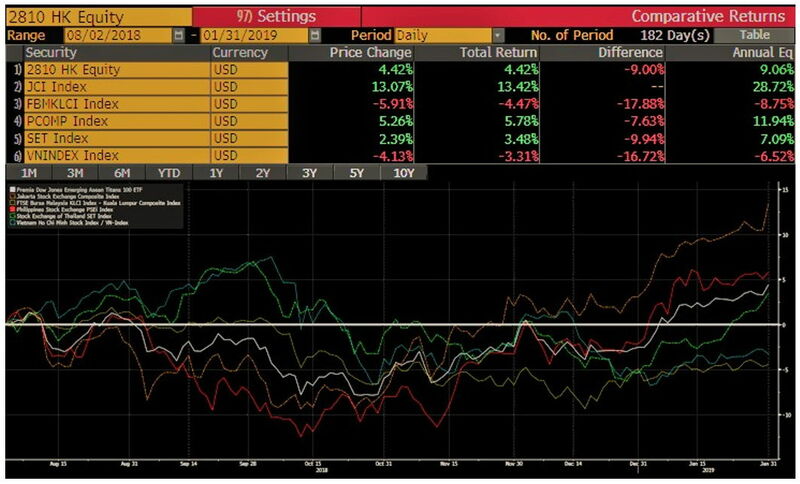 Prior to the rebalance, the weights for Japan, Taiwan and Korea increased due to China’s underperformance and reached a high of 45.5%, 11.1% and 8.6% respectively right before rebalancing. By rebalancing back to 2% for each position in mid-December, the ETF added Chinese stocks at cheap valuations, enabling it to take advantage of a strong Chinese equity recovery in January this year. 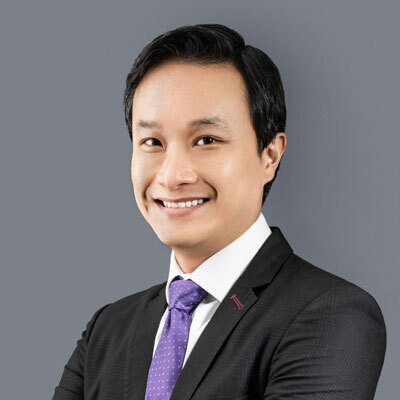 To sum up, we believe there is immense potential in both Emerging ASEAN and Asia Innovative Tech stocks to perform in the near-term on the back of continued investment in infrastructure throughout ASEAN and continued R&D investment throughout North Asia. Asian growth will largely come from these 2 sources and our ETFs are designed to capture these trends instead of achieving diluted exposure to all Asian equities.